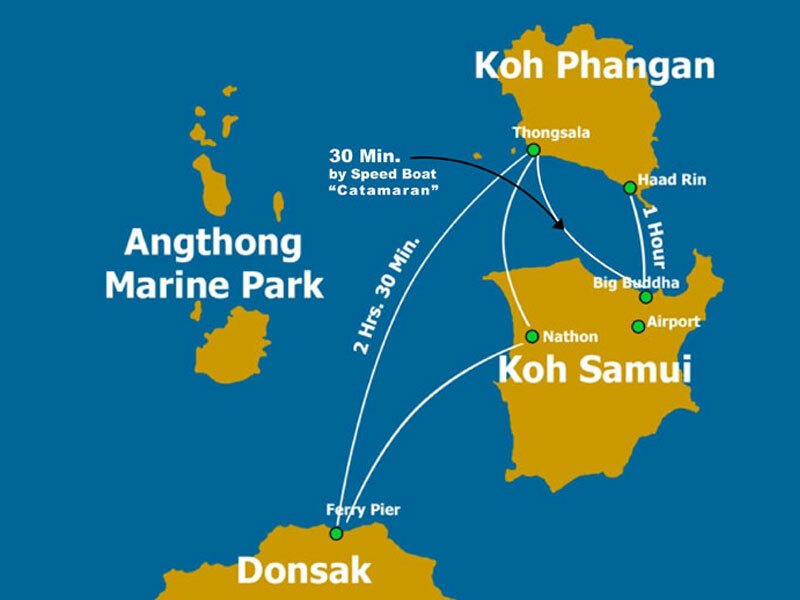 The easiest and fastest way to reach Koh Phangan is to fly into Koh Samui airport (USM). From here it is a quick 20 – 40 minute ferry ride to Koh Phangan. Ferries run from morning until early evening. Please note the last airport pickup is 16:00 so be sure to arrive before this time. 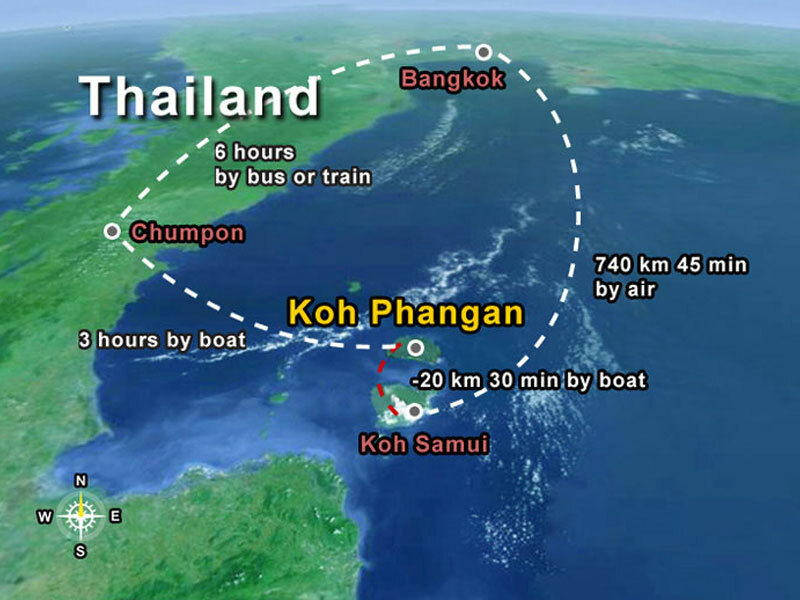 Another option is to fly into Surat Thani airport (URT) and then take a 3-5 hour bus + boat to Koh Phangan. 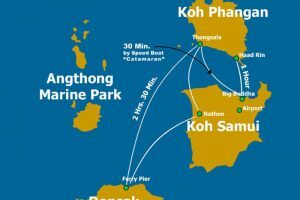 The mainland is linked by several boats and ferries per day all departing from Surat Thani’s Ban Don Port or Donsak port operated by Lomprayah, Raja Ferry, Seatran and Songserm. Please note the last airport pickup is about 15:30 so be sure to arrive before this time. You may also take a bus or train from Bangkok or other locations around Thailand. If you need assistance booking transportation please contact our team of friendly staff as we are here to help in any way we can. 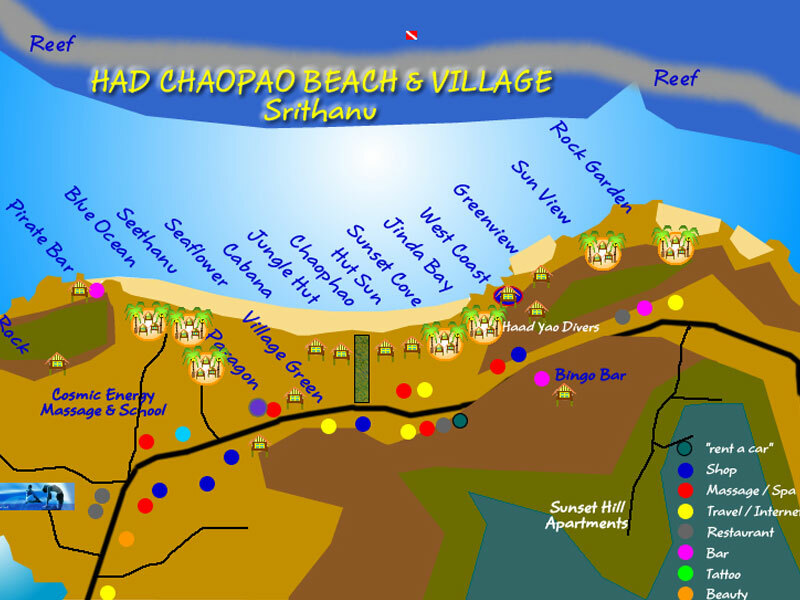 We can provide airport pickups, buses and ferries from almost anywhere in Thailand. Contact reservations@sunsethillresort.com for pricing and timetables. We can also arrange a pickup from the pier. This service for 200 THB per person one way (or 300 THB if only one person) from Thong Sala. 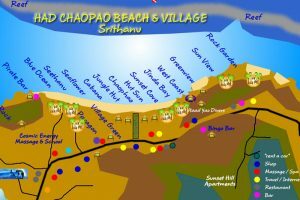 Please contact us at least 24 hours in advance with your arrival details and we can organize this for you.